This article is a response of sorts to several articles I've read recently on leadership and survival. My concern is that those particular authors don't seem to understand the important difference between being a leader and being a boss. 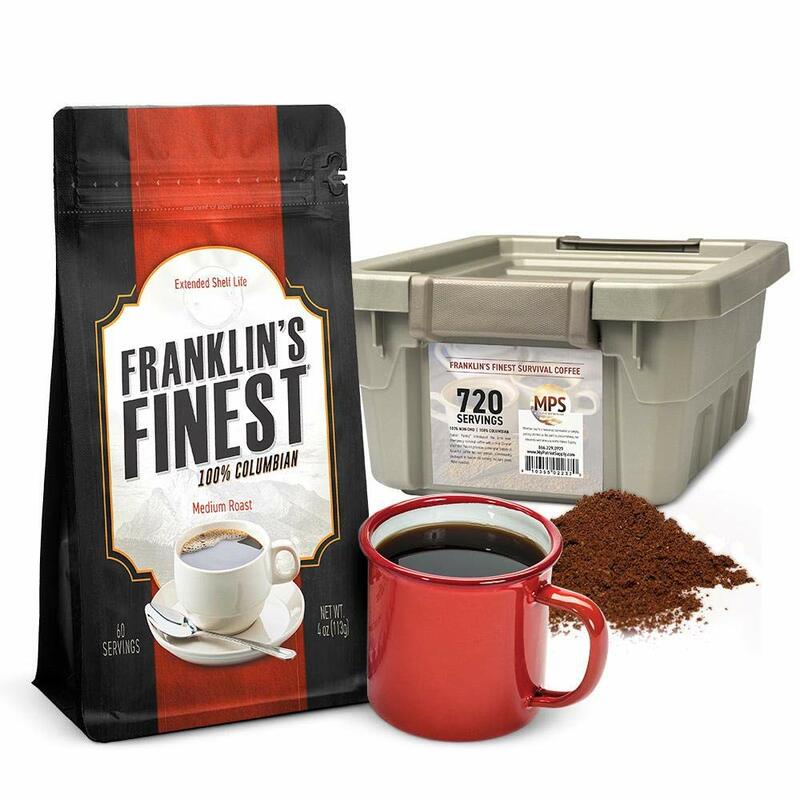 What they describe isn't actual leadership, but rather ways of establishing themselves as the boss of their survival group or post-SHTF community. First, let me say this: If you want to be your group's or community's leader, you should be a leader now. Not just in your eyes, but also in the eyes of those you lead. You will not magically turn into a leader once SHTF happens, no matter how you plan to exert your dominance. If folks don't already see you as a leader, you have a lot of work to do before you actually become one. The good news is that leadership skills can be developed. 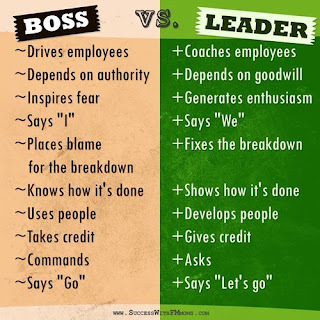 Start by understanding the difference between being a leader and just a boss. A leader and a boss have the same starting point. They both have a purpose, goal, or mission that they want to accomplish. They both set about accomplishing their mission by utilizing others. That is where the differences start. A boss drives others by depending on his position (authority) to make them obey his orders. This is often accomplished through fear and intimidation. It is Do as I say or face repercussions. At work, the repercussion might be public chastisement, a bad evaluation, the withholding of a pay raise or promotion, or even being fired.. In a survival situation, the repercussions may range from public criticism to being thrown out of the group. Worse are those who seem to want to maintain their "leadership" by showing favoritism to "good" followers and disfavor to "bad" followers. Establishing your dominance by withholding food & supplies from "bad" followers while doling out favors to your preferred followers will keep people in line. Sure... More likely, it will cause resentment and an eventual uprising against your tyranny. 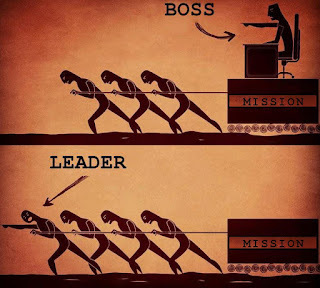 By contrast, a real leader depends on the goodwill he generates in others to get them to join him in his mission. He develops this goodwill by inspiring others with his example and generating enthusiasm in them for his vision. People follow a leader not out of fear of the consequences, but rather because of their respect for him and their belief in his vision. Rather than punishing "bad" followers, he works with others to develop them and to find the best way to use each individual. Even in large organizations like a multinational corporation or an army, the top leader does this to the next rung of leadership under him, who in turn develop the next rung of leaders, who in turn develop... and so on until even those at the very bottom are being developed and utilized according to their individual abilities. I once worked for a man who was a truly great leader. He reluctantly had to fire someone not just because of their incompetence, but actual criminal activity on the job. It was how he handled the firing that demonstrated true leadership. The firing was a last resort after trying hard to help this individual. The day after he fired the person, he called the rest of the staff together and apologized to us for having to do so. He accounted for it as his failure - first for hiring the wrong person, then for being unable to successfully develop him. He also took the opportunity to express his vision for the company, using words like "we" and "us" much more than words like "I" and "me." A boss would never have apologized or taken the blame upon himself. Instead, most bosses would have used the fired worker as an example to the rest staff as to what could happen to "problem" employees. It is the Do as I say or face repercussions method of establishing their authority and dominance. In early 2017, I wrote a well-received article entitled How To Be a Survival Group Leader. If you are interested in this topic, please read (or reread) it. It goes into a lot of detail on how to be a good leader, as opposed to just a boss. "The discipline which makes the soldiers of a free country reliable in battle is not to be gained by harsh or tyrannical treatment. On the contrary, such treatment is far more likely to destroy than to make an army. It is possible to impart instruction and give commands in such a manner and such a tone of voice as to inspire in the soldier no feeling but an intense desire to obey, while the opposite manner and tone of voice cannot fail to excite strong resentment and a desire to disobey. The one mode or the other in dealing with subordinates springs from a corresponding spirit in the breast of the commander. He who feels the respect which is due to others cannot fail to inspire in them respect for himself; while he who feels, and hence manifests, disrespect toward others, especially his subordinates, cannot fail to inspire hatred against himself." 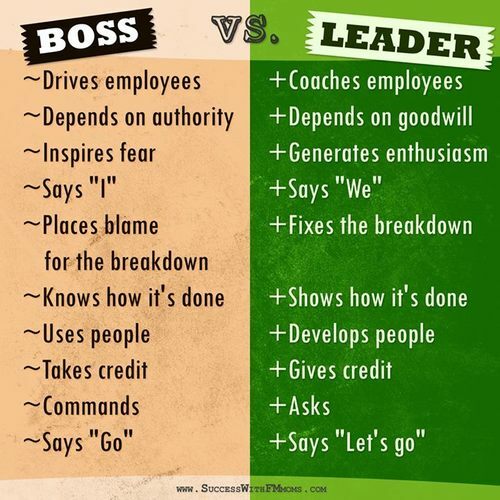 Another example of the difference between "boss" and "leader."